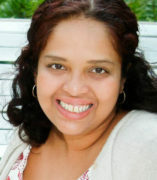 Mary Anne Mohanraj is the author of Bodies in Motion (HarperCollins), The Stars Change (Circlet Press) and thirteen other titles. Bodies in Motion was a finalist for the Asian American Book Awards, a USA Today Notable Book, and has been translated into six languages. The Stars Change was a finalist for the Lambda, Rainbow, and Bisexual Book Awards. Mohanraj founded the Hugo-nominated and World Fantasy Award-winning speculative literature magazine, Strange Horizons, and also founded Jaggery, a S. Asian & S. Asian diaspora literary journal (jaggerylit.com). She received a Breaking Barriers Award from the Chicago Foundation for Women for her work in Asian American arts organizing, won an Illinois Arts Council Fellowship in Prose, and was Guest of Honor at WisCon. She serves as Director of two literary organizations, DesiLit (www.desilit.org) and The Speculative Literature Foundation (www.speclit.org). Mohanraj is Clinical Associate Professor of English at the University of Illinois at Chicago, and lives in a creaky old Victorian in Oak Park, just outside Chicago, with her partner, their two small children, and a sweet dog. Recent publications include stories for George R.R. Martin's Wild Cards series, stories at Clarkesworld, Asimov's, and Lightspeed, and an essay in Roxane Gay’s Unruly Bodies. 2017-2018 titles include Survivor (a SF/F anthology), Perennial, Invisible 3 (co-edited with Jim C. Hines), and Vegan Serendib.